For the Coffee (and tea) lovers of the Sloop, you might like to know that Peet's Coffee and Tea at the southwest corner of Wabash and 8th is now open. As you may recall, Caribou Coffee used to occupy this location but the company decided to close down all the stores in Chicago. 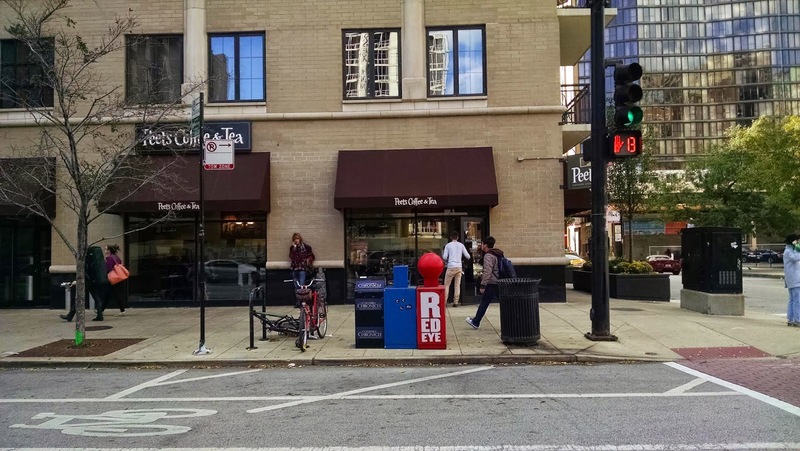 It was announced that some of the locations (obviously the one in the South Loop) would be converted to Peet's. Welcome to the Sloop. Business Counter is updated.